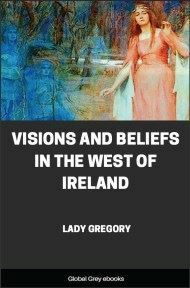 The material in this book was collected over a period of more than twenty years and proved to be a valuable source not only for Gregory's own plays but also for Yeats' work. 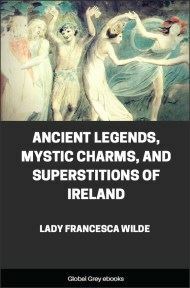 It presents many aspects of the supernatural; seers, healers, charms, banshees, forths, the evil eye and contains a treasure trove of Irish folk-beliefs from the late nineteenth and early twentieth centuries. "The Celtic Twilight" was the first book of Mr. Yeats's that I read, and even before I met him, a little time later, I had begun looking for news of the invisible world; for his stories were of Sligo and I felt jealous for Galway. 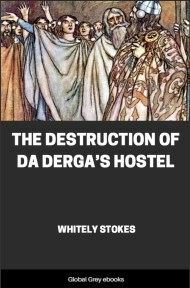 This beginning of know-ledge was a great excitement to me, for though I had heard all my life some talk of the faeries and the banshee (have indeed reason to believe in this last), I had never thought of giving heed to what I, in common with my class, looked on as fancy or superstition. It was certainly because of this unbelief that I had been told so little about them. 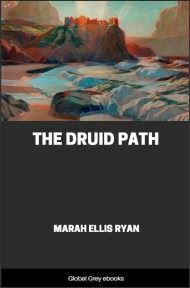 Even when I began to gather these stories, I cared less for the evidence given in them than for the beautiful rhythmic sentences in which they were told. I had no theories, no case to prove, I but "held up a clean mirror to tradition." It is hard to tell sometimes what has been a real vision and what is tradition, a legend hanging in the air, a "vanity" as our people call it, made use of by a story-teller here and there, or impressing itself as a real experience on some sensitive and imaginative mind. For tradition has a large place in "the Rook of the People" showing a sowing and re-sowing, a continuity and rebirth as in nature. 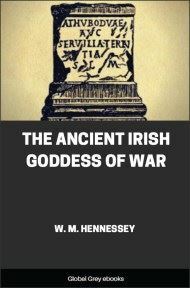 "Those," "The Others," "The Fallen Angels" have some of the attributes of the gods of ancient Ireland; we may even go back yet farther to the early days of the world when the Sons of God mated with the Daughters of Men. I believe that if Christianity could be blotted out and forgotten tomorrow, our people would not be moved at all from the belief in a spiritual world and an unending life; it has been with them since the Druids taught what Lucan called "the happy error of the immortality of the soul" I think we found nothing so trivial in our search but it may have been worth the lifting; a clue, a thread, leading through the maze to that mountain top where things visible and invisible meet. To gather folk-lore one needs, I think, leisure, patience, reverence, and a good memory. I tried not to change or alter anything, but to write down the very words in which the story had been told. Sometimes Mr. Yeats was with me at the telling; or I would take him to hear for himself something I had been told, that he might be sure I had missed or added nothing. 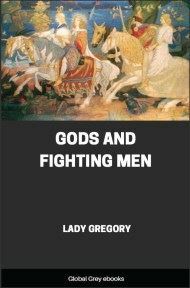 I filled many copybooks, and came to have a very faithful memory for all sides of folk-lore, stories of saints, of heroes, of giants and enchanters, as well as for these visions. For this I have had to "pay the penalty" by losing in some measure that useful and practical side of memory that is concerned with names and dates and the multiplication table, and the numbers on friends' houses in a street. It was on the coast I began to gather these stories, and l went after a while to the islands Inishmor, Inishmaan, Inisheer, and so I give the sea-stories first. It's said there's everything in the sea the same as on the land, and we know there's horses in it. This boy here saw a horse one time out in the sea, a grey one, swimming about. And there were three men from the north island caught a horse in their nets one night when they were fishing for mackerel, but they let it go; it would have broke the boat to bits if they had brought it in, and anyhow they thought it was best to leave it. 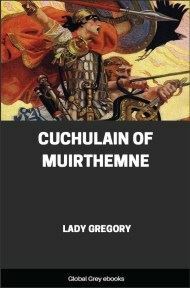 One year at Kinvara, the people were missing their oats that was eaten in the fields, and they watched one night and it was five or six of the sea-horses they saw eating the oats, but they could not take them, they made off to the sea. And there was a man on the north island fishing on the rocks one time, and a mermaid came up before him, and was partly like a fish and the rest like a woman. But he called to her in the name of God to be off, and she went and left him. There was a boy was sent over here one morning early by a friend of mine on the other side of the island, to bring over some cattle that were in a field he had here, and it was before daylight, and he came to the door crying, and said he heard thirty horses or more galloping over the roads there, where you'd think no horse could go. Surely those things are on the sea as well as on the land. My father was out fishing one night off Tyrone and something came beside the boat, that had eyes shining like candles. And then a wave came in, and a storm rose of a moment, and whatever was in the wave, the weight of it had like to sink the boat. And then they saw that it was a woman in the sea that had the shining eyes. So my father went to the priest, and he bid him always to take a drop of holy water and a pinch of salt out in the boat with him, and nothing would harm him. They are on the sea as well as on the land, and their boats are often to be seen on the bay sailing boats and others. They look like our own, but when you come near them they are gone in an instant . My mother one time thought she saw our own boat come in to the pier with my father and two other men in it, and she got the supper ready, but when she went down to the pier and called them there was nothing there, and the boat didn't come in till two hours after.